In the advanced signature, the signer has to sign the document with their personal signature, with their finger or a touch pen using a tablet or a smartphone, or with the mouse on a desktop or laptop computer. All the evidence of the transaction generated during this signature process is included in the audit trail. Through an encryption algorithm and the Official Time Stamp, we ensure the integrity of the data and, therefore, its legal validity of proof of who has signed the document, when and where. Each electronic signature is “embedded” in the document, including biometric data captured during the signature process. Now we have added another reference to this biometric data. 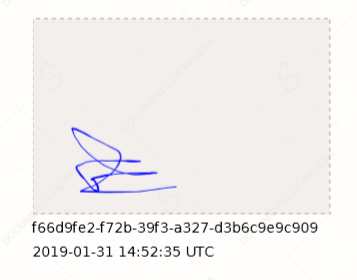 We’re talking about a unique code located beneath each advanced signature, along with the date and time the signature was made, which increases the legal certainty that each signature is unique. With this update, we want to make it easier for each signature to be associated with its audit trail, which now contains this code along with the rest of the traditional evidence from the signature process. In addition, thanks to this code, we now comply with Title 21 CFR Part 11, which is the part of Title 21 of the Code of Federal Regulations of the United States on electronic records and electronic signatures (ERES). Part 11, as it is commonly called, defines the criteria under which which electronic records and electronic signatures are considered trustworthy and equivalent to paper records. Contact our Customer Success people to learn how you can activate biometric references for all your advanced signatures. 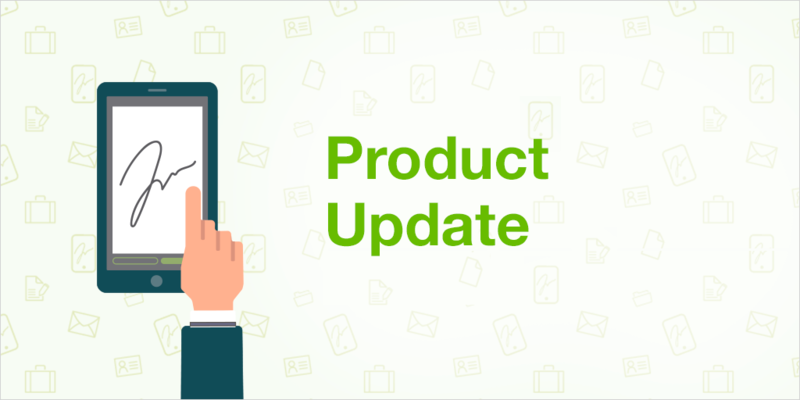 We have solved a problem that prevented the download of audit trails from old certified emails. Now they can be downloaded correctly. Our verification process for identity documents was somewhat unstable when using the Safari browser. We have improved this so that users can correctly work with this technology from the main browsers in their updated versions. The Developers Panel allows Enterprise users to review all of the requests they’ve sent. It’s possible to individually review all the requests sent, with all the necessary details for any type of troubleshooting. This panel had a small error that prevented the events from being launched for our API developers. It is now back to functioning normally. Now the person who receives an email with a document to sign will be able to see what document it is without having to open the mail. The document’s title, for example “Employment Contract”, will be included in the subject of the email, meaning more information is provided immediately in the person’s inbox. This solution will be active by default if the signature requester does not include their own custom subject for each of their signature requests. Users can now enjoy a control panel or history of sent certified emails with a more inviting and clean look. They will benefit from a more contextualised view, since from now on the requests for certified emails will be shown with the subject that was entered at the time they were sent, and not with the title of the attached document, as was the case up until now. They are named by each subject that belongs to each certified email request. We have finished implementing all the widgets in our new signature environment. We are still working on obtaining validations, parallel signatures and some other small details. Get it touch with us to start testing out this new, more intuitive and comfortable signature environment right now. We are working really hard to make sure that our qualified signature flows are implemented and available as soon as possible. Things are getting interesting and much more is still to come. Stay tuned!